Caterina Barbieri doesn’t write songs: she captures the map of an academic research on repetitive and minimalist sound patterns in an acoustic form. 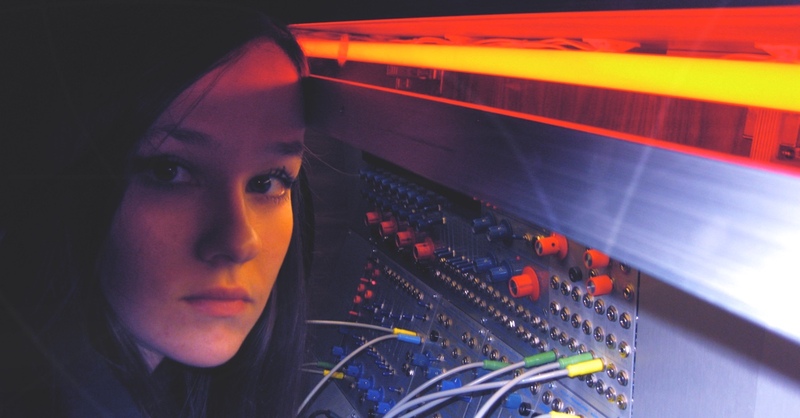 Despite the fact that her main interest is taking the pulse of the soul of machines such as the modular synthesiser Buchla 200, this Berlin-based Italian artist is open to including a human dimension (for the moment in the form of the cello and distant human voices) to create contrasts in the compositions that are born, move in time, but never end. They simply move out of our perception.